Can U.S. follow through on tough NAFTA talk? WASHINGTON — The aggressive opening statement the United States made heading into the first round of the North American Free Trade Agreement talks raised eyebrows for its directness, but the content came as no surprise to auto industry officials seeking to block massive rules changes that could force a restructuring of their business strategies. U.S. Trade Representative Robert Lighthizer, channeling the same rhetoric Donald Trump rode from the campaign trail to the White House, characterized NAFTA as a failure for the U.S. manufacturing sector, pointing to trade deficits and more than 700,000 lost jobs from outsourcing as conditions that need to be reversed through an extensive overhaul. He drew attention to the US $68 billion auto deficit with Mexico and reiterated the administration's goal to tighten rules of origin that determine whether goods can cross the border duty-free as a way to spur U.S. manufacturing. "It was a pretty hard-line opening statement, which heightens concern about how this is going to work out, but it's also only the opening statement," said an official for an international automaker who did not want to be named because of the sensitivity of the talks. To follow through on the rhetoric and deliver the promised jobs to the U.S. manufacturing belt, the Trump administration will need the cooperation of the U.S. business community and key members of Congress, both of which sought to distance themselves from the embattled president last week. Indeed, at the same time Lighthizer was pressing his case on behalf of U.S. manufacturing, Trump was forced to disband various advisory councils made up of top business leaders, many of whom recoiled at or openly denounced his tepid response to a white-supremacist rally and ensuing violence in Charlottesville, Va.
General Motors CEO Mary Barra was on one of those councils, the White House's Strategic and Policy Forum, which GM had called "a seat at an important table" as the Trump administration dealt with issues such as tax reform and job growth. But Barra and fellow CEOs grew restive last week amid the Charlottesville furor, leading to the disintegration of the group. "General Motors is about unity and inclusion and so am I," Barra said in a statement. "Recent events, particularly those in Charlottesville, Va., and its aftermath, require that we come ​ together as a country and reinforce values and ideas that unite us — tolerance, inclusion and diversity — and speak against those who divide us." Mexican Economy Minister Ildefonso Guajardo says "we want to keep being regulated by NAFTA." 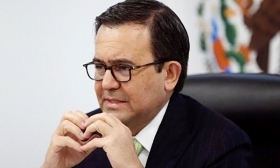 Mexico's economy minister, Ildefonso Guajardo, said the breakdown of the councils could be a wild card as the talks progress, given the business community's support for free trade. "What I would hope is that this does not indicate that these business groups are not going to be present, sending messages to their White House" during the talks, said Guajuardo, who is Mexico's chief negotiator. In Congress, too, where views on NAFTA don't fall along traditional party lines, the president was taking bipartisan fire over his comments on the Charlottesville protests, with one Republican senator questioning his competence and stability. NAFTA is too important for the business community to fully disengage from the negotiations, analysts say, and business leaders see sufficient separation from the White House, since talks are being conducted by the U.S. trade representative in partnership with the Department of Commerce. But the president's personal credibility could be a factor when it comes time to get a final deal ratified by Congress, said Eric Miller, president of Rideau Potomac Strategy Group, a policy advisory firm, and a former official at the Canadian Council of Chief Executives. "What is the standing of this president when it comes time to advocate and make calls to round up votes for the new NAFTA," he said, especially if health care and tax reform have stalled, race relations are stirred up and there is an international crisis. Many lawmakers in both parties are already wary about restricting trade or have strong business constituencies in their districts. If Trump hasn't built trust with the business community, it may be difficult to get its support for NAFTA changes, analysts say. "Ratification [is] going to be a nail-biter," said Miller, "and what we've seen is that it's very important for the White House and the business community to work together to get the bill enacted." Lighthizer's sharp tone Wednesday appeared to have had a carry-over effect. According to another highly placed industry source familiar with the talks, private meetings between the parties have been tense. As expected, rules of origin for automobile components were high on the agenda. Lighthizer's call for "substantial" U.S. content requirements beyond the stricter rules of origin for duty-free treatment drew quick pushback from Canadian Foreign Minister Chrystia Freeland. "Canada is not in favor of specific national content in rules of origin," she said at a press briefing. National content requirements would amount to a production allocation agreement, said Miller. "Certainly, Canada and Mexico are right to be concerned about this because it doesn't align with what a free trade agreement is supposed to be about," he said. Mexican officials have also drawn a line in the sand over national content requirements. "National content is not utilized in any trade agreement in the world because it creates too much rigidity for companies," Guajardo said on the Televisa TV network. He characterized the first round as mostly "basic positioning" by the different sides. 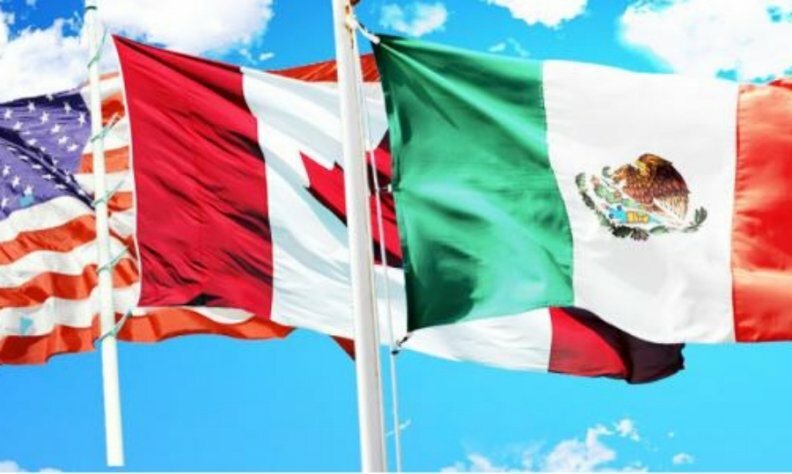 The next round of talks will take place in Mexico City Sept. 1-5, and then move to Canada on Sept. 23, according to two industry sources familiar with the proceedings. — Laurence Iliff contributed to this report.